Aleksandr Usyk (16-0, 12 KOs) defeated Tony Bellew (30-3-1, 20 KOs) by eighth-round knockout to remain the undisputed Cruiserweight champion of the world on Saturday night, November 10, in Manchester, England. 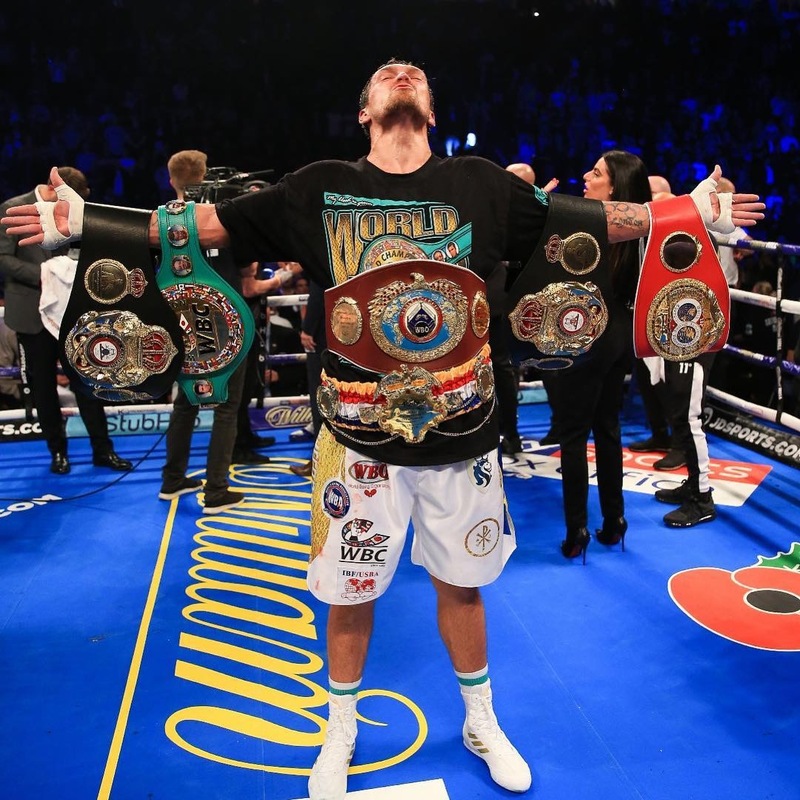 Usyk is now 16-0, with 12 KOs and defeated Bellew in dramatic fashion, flooring the hometown fighter and adding yet another tremendous opponent to his impressive 2018 fight resume. This was a dangerous fight for both men, Usyk testing his skills against a former world champion in Bellew, while Bellew was taking one last fight against the best fighter in the Cruiserweight division. The fight played out like a strategic chess match, with both fighters trying to understand each others every move. Usyk came out very cautious, only using his jab in Round 1, while Bellew’s gameplan was to primarily be a counterpuncher for this fight. Bellew took his time and fired back precise counterpunches to win the first few rounds. Bellew started the fight very strong, throwing a sharp counter right hand that was landing on Usyk. Usyk found his rhythm in the fourth round, using his jab and straight left hand to land at will. Bellew was visibly slowing down in the seventh round, and started the eighth breathing with his mouth open. Usyk landed a couple of power left hands that caught Bellew’s attention, and Usyk pounced on his hurt opponent. It was a jab that blinded Bellew followed by a left hook on the chin that floored Bellew. The combination literally put Bellew on his back and finished the fight. Bellew was gracious in defeat and praised Usyk in his post-fight interview. Bellew was up on two of the three scorecards before the knockout and admitted he got careless and went for a knockout. He previously stated win, lose or draw that this would be his last fight and he will be retiring from boxing. Usyk impressed with this victory, he wasn’t supposed to knock out the bigger man. Through his interpreter, Usyk let everyone know he would like to take a short break, and then worry about his future in boxing. Whether that be in the Cruiserweight division or a move up to the Heavyweight division remains to be seen. Aleksandr Usyk proved his dominance in the sport of boxing, and proved that he should be on all pound-for-pound fighter lists.